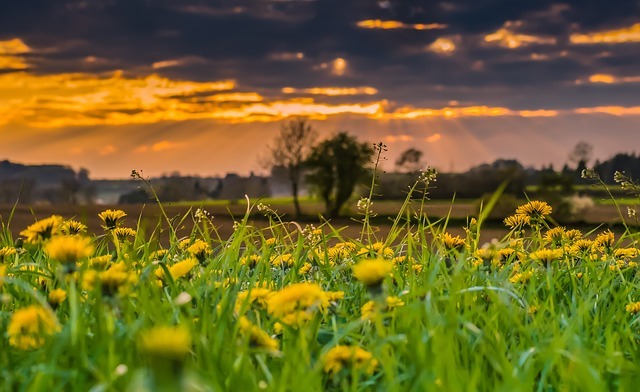 Exploring The Wellness Power Of Dandelions! When I first got a copy of Victoria Boutenko’s green smoothie book, Green for Life, I was blown away by the incredible nutrient statistics of what we commonly think of as weeds (you can read my whole round-up here from a few years back!) that she recommended to blend with a bit of fruit and water as giant smoothies every day. If we harnessed the power of these “weeds” as a global society, I can only imagine how much our nutritional profiles would change?! These are powerful foods that grow wild and are often overlooked for the classic spinach and the more recently popular collars and kale. Dandelion intrigued me the most as I remember being puzzled as a child when people would spray their yards with chemicals to kill these sprouting flowers. It felt wrong. They were magic to blow when in their seed form, and as flowers they seemed so purposeful. Dandelion is finally having its day in wellness- so no more rushing to toss them in the trash! They are incredibly versatile in their nutritional power- almost every part of the plant has major healing properties. 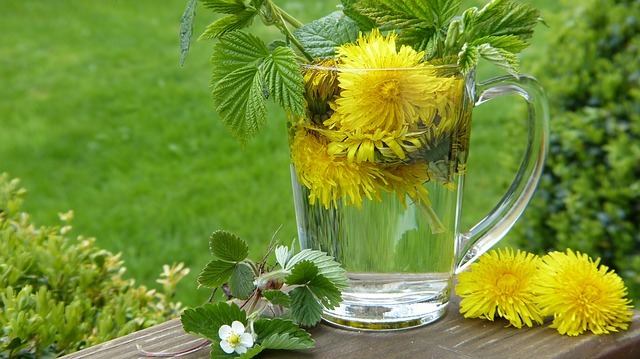 Here are some amazing ways that dandelion is being used- as a tea, greens, and even the flowers are edible!!! So, exactly what is dandelion being used for these days? Liver Detoxification: One of the main functions of the liver is to rid the body of toxins. It does this by detoxifying our blood and producing bile, which aids in our digestive process and the absorption of nutrients in our gut. The liver is also an essential component of storing minerals, iron and vitamin A. Weight Loss: A 2008 study, when comparing dandelion root to an anti-obesity drug, concluded that dandelion extract showed “strong pancreatic lipase inhibitory activity…” Pancreatic lipase is an enzyme that helps the body during digestion and also breaks down fat. Vitamin K plays an integral role in building strong bones, protecting the health of your heart, regulating insulin levels….but it is most known for aiding in the clotting of your blood…in a manner that facilitates the functioning of your body. So, how can you use dandelion in your life? Mommypotamus suggests tossing the organic flowers in salads (gorgeous!) or tossing some leaves into salads. You can blend the leaves in smoothies with some fruit and water. THIS detox smoothie goes the extra mile with herbs and celery, too! You can have the tea made of the roots and you can even make it into a latte with some almond milk. For me, the expansion of wellness into weeds and flowers and roots and all this nutrition is a super-prosperous turn in nutritional wellbeing… and it’s all so readily available to so many, it’s very exciting! Plant power at it’s very best! Previous post: How Your Home Affects & Reflects Your Wealth! 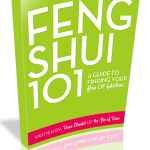 Next post: Feng Shui To Help You Build Wealth (Or More Of Anything You Need)!